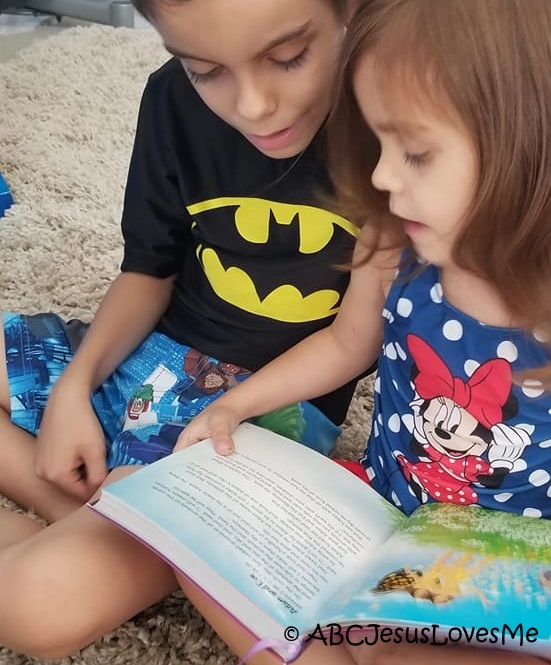 In order to study the Bible, I believe it is important to teach children the order of the Books of the Bible. This activity in part of the 4 Year Curriculum (New Testament) and 5 Year Curriculum (Old Testament) and with a little help most preschool children can master this task. 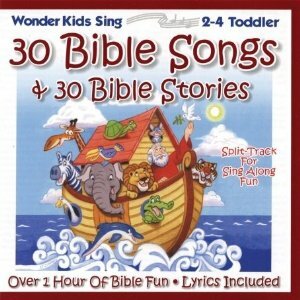 30 Bible Songs and Bible Stories - This CD contains both "The Books of the Old Testament" and "The Books of the New Testament songs. 1. Work on the list in the car, in the bathtub, while swinging, at the dinner table, or during family time. Our kiddos learned the list while riding in the car. Although most of the meanings behind the hand motions are above a preschooler's understanding, using hand motions is one more way to learn the books of the Bible. The hand motions are created using the major themes of each book. This would also make a neat program with a whole group of kids doing these together. 4. Break each testament into small groups focusing on a small group at a time. The Old Testament begins with Creation and ends with the world waiting for the coming King. The New Testament begins with the life of Christ and the First Church and concludes with the teachings of the apostles. Historical Books - Follow the story of Israel. Gospels - Four different men write about the life of Christ. History - Explains how the church began and grew and how the Good News of Jesus Christ spread across the world. Letters by Paul - These are letters written to different people and churches to explain what it means to be a follower of Jesus. Prophecy - A book explaining what is going to happen at the end times.